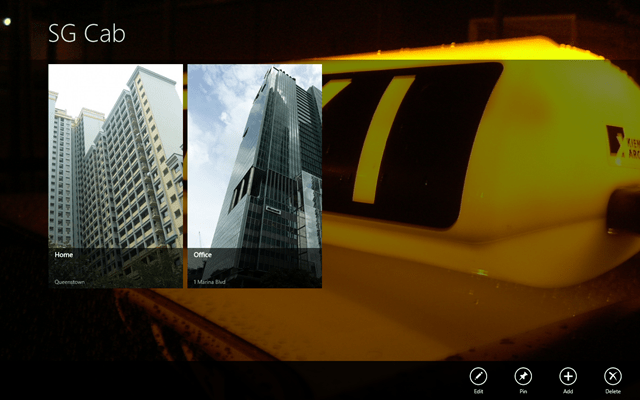 SG Cab is a free Windows 8 app that enables you to book taxi in Singapore on Windows 8. Well, many a times you feel helpless when you are in a new and unknown place. You don’t know anything about that place and when you want to reach somewhere, you want someone to take you to that place. At that time you really need a Cab or Taxi which can help you and guide you to any place in that city or town. Well, now here is an app which can help you in this situation. 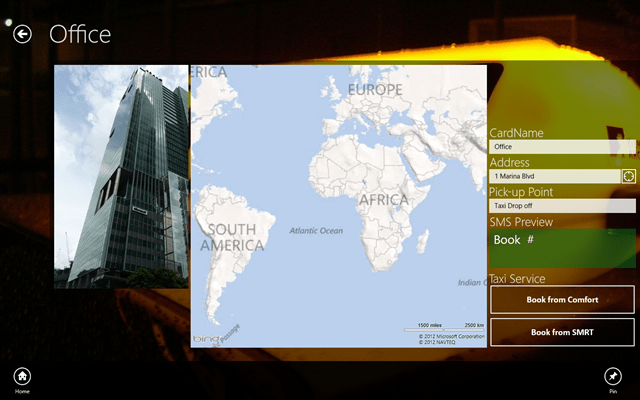 This Windows 8 App will help you to book taxi cab when you are in Singapore. This is a kind of app for Windows 8, you will really cherish when you are in an emergency and you really want to reach some place in urgent. Check out our post on Windows 8 apps. This app to book taxi in Singapore on Windows 8 can connect you to your home and office in Singapore. You can simply book a cab in Singapore for your office and for your personal purposes. You just have to select an option that suits you. This app for Windows 8 will ask your location access and you can just put your information into the app and it will send a message to the cab agency. Just enter your Address and Card name with your Pickup Point and it will pick you up from that point. Just book your cab with the help of this app to book taxi in Singapore on Windows 8, by entering the information and your are ready to go where ever you want. So, if you are in Singapore, then its a kind of Windows 8 app that helps you in booking taxi.